For residents of Denver, CO, a RainSoft in-home water hardness and drinking water test is the first step toward fresh, fantastic-tasting tap water. RainSoft’s convenient, comprehensive water tests can help you discover exactly what’s in your drinking water – and what can be done to make it better. Denver Water, the area’s main utilities provider, does test its water to make sure it’s safe for consumption. However, their primary goal is to provide safe drinking water. Its taste, smell, and clarity can leave plenty to be desired – and that’s where RainSoft comes in. RainSoft’s water tests take just a few short minutes. Your local authorized dealer will analyze and explain the results, then recommend a tailored water treatment solution to meet your needs. 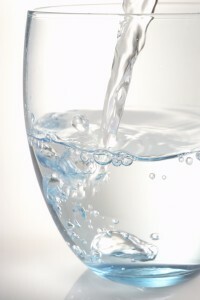 With our specially engineered drinking water systems, even the least appealing tap water can become better than bottled. In addition to our drinking water systems, we also offer whole-home water treatment systems that can address iron, sulfur, chloramines, and other similar issues. With RainSoft water treatment technologies, it’ll finally be possible to enjoy a great-tasting glass of water from your kitchen faucet – and it all starts with a simple test. To schedule your complimentary in-home water hardness and drinking water test, contact RainSoft of Denver, CO today.